2017 was a great year for video games, but the worst of my life. In July, my father, Doug, suddenly passed away. I think about it several times a day, every single day. There is a lot more to say about this, but I don’t feel like I can find the words to do it yet. My dad’s casual curiosity and enjoyment of video games brought them into my life at a young age. This year more than ever, I needed an outlet to keep my mind from wandering, and there were plenty very good video games to do just that. My dad loved to write. So, I’m going to write about some of the best video games of 2017. Going home means different things to different people. 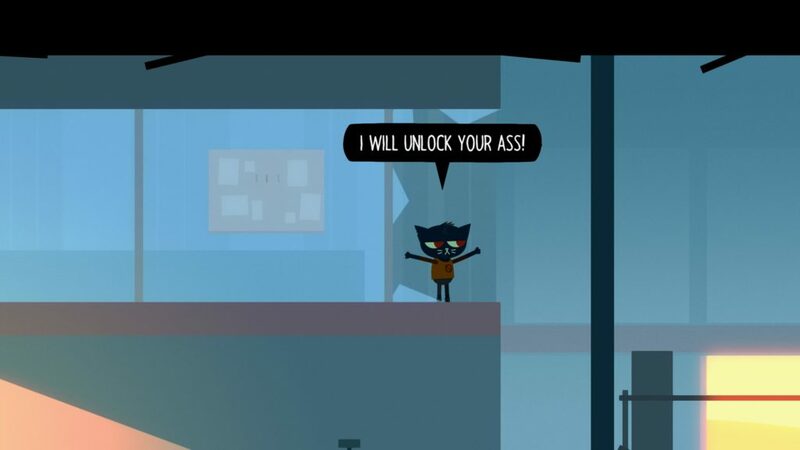 Night in the Woods captures the feeling of returning home. Everything is different, but the same all at once. It’s a story about growing up and trying to find your place in the world. The writing is amazing. 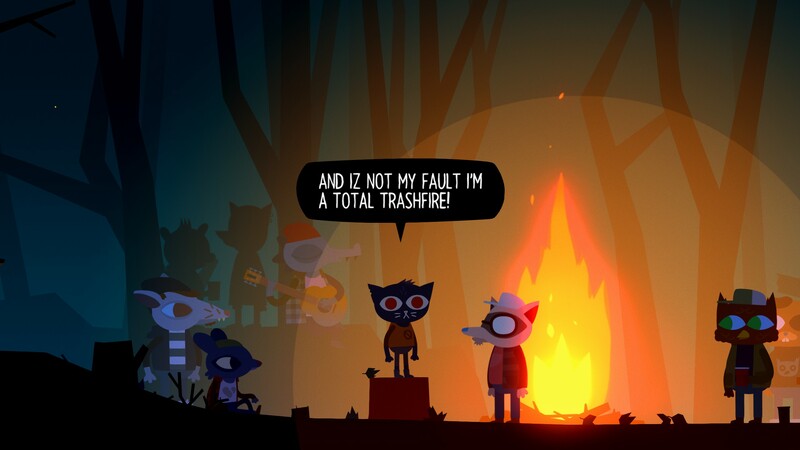 Most younger-adult game dialog feels closer to “How do you do, fellow kids?” while Night in the Woods just felt natural. It didn’t quite make make my top 10 list, so I felt like I need to give it some love here since it was the most moving game I played in 2017. I really enjoyed three acts of this game. Unfortunately, it has four. The developers seemed to double down on the new attacking/defending keeps aspect of the game and made the entire fourth act about defending keeps over and over and over and over and over. This game had so much potential, and failed to stick the landing. Night in the Woods back again. The dialog and interactions between the characters in this game provided some of my favorite silly moments in 2017. Mae’s relationship with her parents is most often on the lighter side. And Gregg. Gregg is just a delight. Crimes. Cuphead became the talk of E3 years ago based on 15 seconds of video in a sizzle reel. It should be no shock that it’s 1930s hand-drawn animation style is one of the best looking games in 2017. Just one more round. We’lI can totally do better next time. Repeat. This may be the last year for this category. The line for “early access” has become more blurry than ever in 2017. I tend to disregard games while in early access and wait for their full release, but PlayerUnknown’s Battlegrounds was a wave that was inescapable in 2017. It was and remains my multiplayer game of choice. This is the first time I’ve given this category to a game that I spent time playing, just not enough time. I love the Assassin’s Creed franchise and that’s how I know I missed out here. 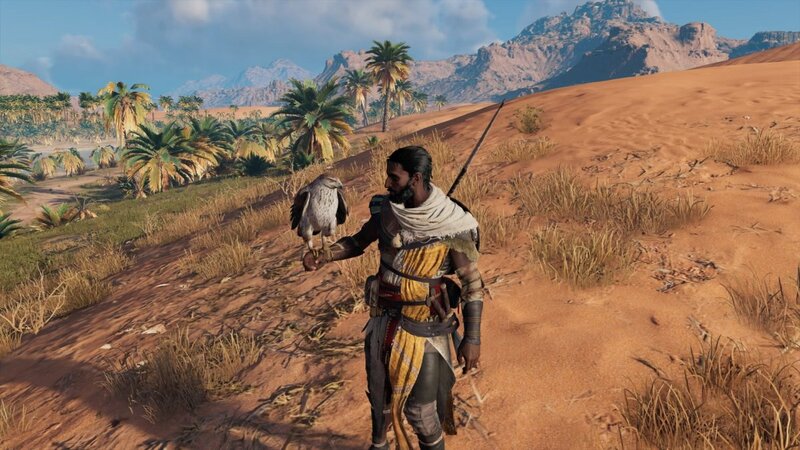 I really enjoyed my time with Assassin’s Creed: Origins, but putting in under 10 hours just wasn’t enough and I simply ran out of time this year. I fully intend to continue on and maybe it makes my top 10 next year. The Super Nintendo is my favorite console. The SNES Classic came with some of my favorite games of all time. This will probably be the only Nintendo Classic system I purchase. It’s a clicker game. It has THE Offspring song you want. I didn’t really “play” it a lot, but I sure did open it enough times to fully max our the multipliers for EVERY driver. I spent a lot of December listening to this soundtrack on repeat and decided it was the one that made me the happiest. I have two runner-ups that I assume that my fellow Bottled Fuchsia folk will give this award to: NieR: Automata and Cuphead. 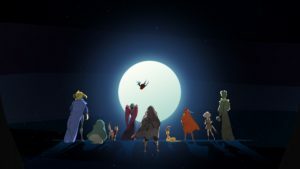 Shout out to Pyre as well. 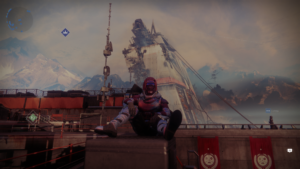 “For the past several years Destiny has been my game for mindlessly running bounties while catching up on podcasts, wrestling, or pretty much anything else.” This is what I wrote last year. It still applies, but fill in Destiny 2. Another Red Dead Redemption. Yes please. Honorable Mentions: It’s my list and I’ll add honorable mentions if I want to! 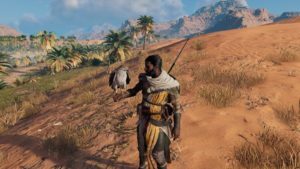 Assassin’s Creed: Origins – I love Assassin’s Creed games. This was the one that got away…the time I did get with it I enjoyed. Horizon: Zero Dawn – This type of game is my jam. It has robot animals in a post-post-apocalyptic setting. I liked it, but had enough gripes to barely keep it out of the top 10. Night in the Woods – All the feelings of going home again and finding your way in life. Also, you’re a cat and it’s kind of a platformer with some rhythm game thrown in. The follow up to my favorite game of 2014. I had high hopes, so I was disheartened to hear from some early reviews that the game eventually brick walls. I felt relieved once I was able to play it myself. I’m not a stickler for the Tolkien lore, so Shelob suddenly being a lady didn’t hang me up a ton. It had what I wanted. A ranger with his own ring of power and his elven spirit pal who gives him even more powers. The world is bigger, the orcs are goofier, and the addition of the keeps as a major goal to control each area was a nice touch. Like with most open world games, there are a few side quests, things to collect, and activities. 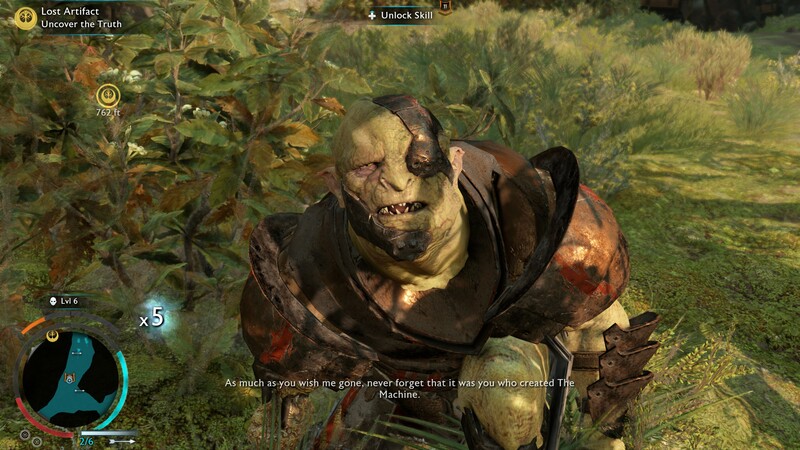 Mainly, I enjoyed running around Middle-Earth, stumbling into orcs, and building my army. It creates some goofy and terrible situations. The game has…flaws, to be kind. Talion is angrier in his quest for revenge and somehow even more boring all at the same time. The collectibles and challenges don’t pay off in a very satisfying way. 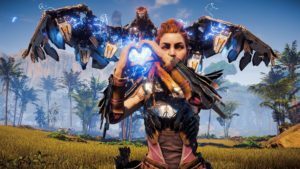 I’m a sucker for an open world collection-based game that plays well, and I had fun despite these flaws. I anticipated this game hitting around 5-6 on my list through Act 3. Then Act 3 ended and Act 4 started. I was to defend all a keep that I was in control of. I was successful. Then was asked to do it again, this time the orcs attacking were higher level. This is the wall. This is Act 4. Defend (or attack if you lose a keep) ad-nasiusm. I verified with Conman who had finished this was it. I stopped playing. The developers doubled down hard on the wrong part of the game. I enjoyed my time with Middle-Earth: Shadow of War and for that it gets #10 on my list. I had it locked in before many of the other spots. I felt it deserved a place here, but couldn’t give it anything more based on how much I was let down. See Biggest Disappointment Award. I really liked Doom last year, so I was intrigued by the Wolfenstein remakes. 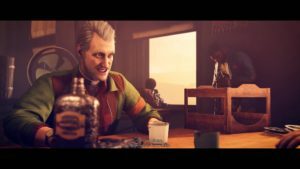 Kay was a very big fan of The New Order, so I decided to give that a shot first to see if I wanted to pick up Wolfenstein 2: The New Colossus. The answer was yes. I ripped through Wolfenstein: The New Order. By the time Wolfenstein 2 released, I was ready to dive back in. Wolfenstein is a game of moments with some gameplay you happen to play through to see the next moment. The game starts with a very grim tone. BJ nearly died, was thrown back together, and doesn’t think he has much time before his body just gives up on him. This is represented in the gameplay by your health being capped at 50. We get flashbacks to BJ’s troubled childhood where we find out that his father was a scumbag. Bleak stuff. About half way through the game, the tone takes a major shift and goes bonkers. The moments continue. Oh, do they continue. My major complaint about Wolfenstein 2: The New Colossus was that I didn’t particularly enjoy the gameplay all that much. It wasn’t bad by any means, it was fine, but I found myself pushing forward to get to the next bit of story. Oh, that story. It’s worth checking out for sure. Supergiant games’ Bastion and Transistor are some of my favorite games and soundtracks. Obviously, I was excited for Pyre, before I even knew a thing about it. The core gameplay from Bastion to Transistor was a pretty big pivot, so I was curious to see how it it would be built upon. I was not expecting text heavy story progression with some 3v3 American Gladiators style sport as the gameplay loop. It works, it works really well. Playing as The Reader, you read the stars and move your team of exiles, The Nightwings, to perform The Rites (matches) while making stops along the way, building bonds with the other exiles, and dunking your way to freedom of the other teams of exiles. Supergiant games build worlds like no other developer. A neat aspect in this game is that whenever major plot points such as characters or places or lore pieces are mentioned, the text is highlighted. You can then scroll over top of the word to learn what it means and how it fits into this world. It provides for much better dialog where characters converse like people who live in that world without have to spell everything out for you. Every time I thought I had the game loop figured out and was disappointed it might become a slog, it seemed like it knew and adjusted accordingly. The story is good and will continue even if you lose every single rites. The game goes out of it’s way to try and stop you from restarting a match. They try to teach you that losing is fine, and can become part of the story. Most people’s enjoyment of this game will really depend on the 3v3 rites gameplay. Each character has different abilities and levels up as the game goes on. At certain points, characters may be unavailable which causes you to mix up your team. This is actually a tricky way to get you attached to all of your characters. By the end of the game, I was ready to restart and try some things differently. Like telling Rukey I liked his mustache. I felt like a monster for making him shave it. Cuphead is a game I grew fond of over time. A very challenging game, it frustrated the hell out of me. That’s it’s purpose. It’s a series of boss battles that you are likely going to bang your head off of over and over, but every time you’ll learn a little something. Eventually, it all comes together in glorious fashion. Defeating a boss makes it all worthwhile. 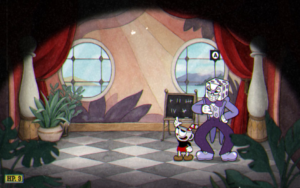 I’m not usually one for punishing platformer or bullet-hell games, but just look at Cuphead. It’s the type of game that you show to everyone as an example of how far video games have come and how amazing they can look. Every aspect is so lovingly crafted and on top of that, the gameplay is tight and feels like a perfect package. It’s not bullet-hell difficult for difficulty’s sake, it’s designed intentionally for you to learn, choose a strategy, and overcome. Everyone has their proper controls and their perfect set of weapons and items. If you ask, theirs is the best because they beat Cuphead. It’s hard to not feel like what you used must be the best option to actually make it through. I didn’t have as much fun with the run-and-gun levels, but I do appreciate the fact that all of those levels CAN be completed without killing a single enemy. Cuphead is a great example of the developers designing the game they wanted and not trying to go beyond their scope. Cuphead is probably one of the most complete package in this list of games. Oh. By the way. 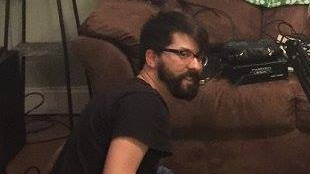 If you see him. 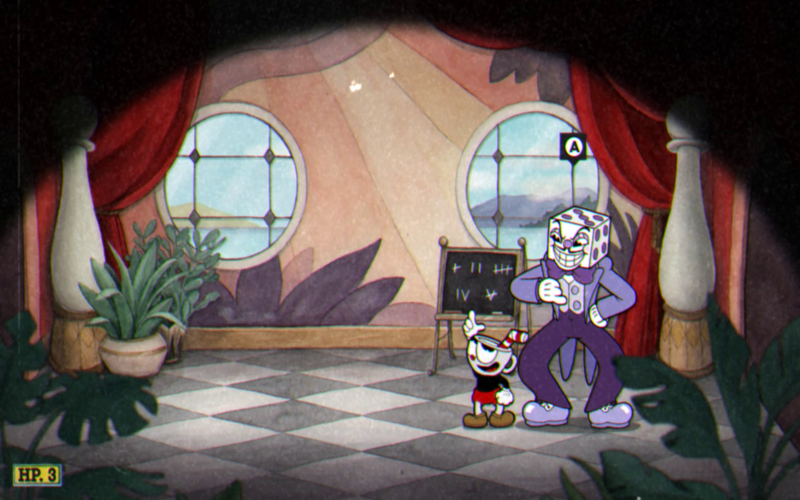 Don’t mess with King Dice. 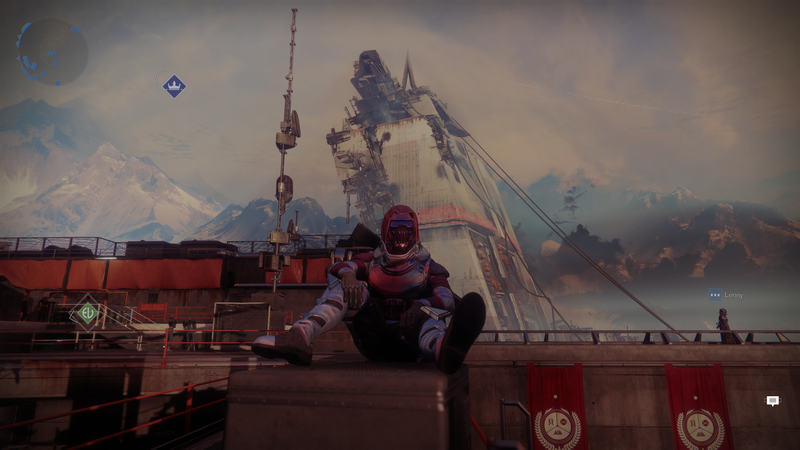 Destiny has been one of my favorite games to play off and on since it released in 2014. If you’re a return reader to these yearly lists, you’ve probably seen it pop up all over the place. The Destiny franchise has what I’m looking for in a MMO-lite game. Destiny 2 has more of that, and it’s on PC this time so it looks even better. Bungie continues to put out the best-feeling first person shooters. It’s very easy for me to log in, check what daily or weekly quests I have remaining, and just jump in. Now that my game of the year crush has finished, I look forward to getting back into the habit of checking in more frequently. Eventually, I’ll check out for a few months until a new piece of DLC or expansion is added, and I’ll come right on back. It’s a cycle I’m OK with, and probably why I didn’t have as many problems with Destiny 2 as a lot of it’s fans had. Simplifying weapons down to one standard version with a few minor adjustments was a positive to me. I didn’t find any enjoyment in trying to find or re-roll a weapon to have the perfect perks in the previous version. I think putting sparrows, ghost shells, and ships into bright engrams was fine. Not the best solution, mind you, but fine. With the amount of time I play, if I had completed something long and monumental and received something like a sparrow at the end as a reward, I’d be a little pissed. I think Bungie has mishandled a lot of things with Destiny 2, and they should fix them. At the same time, I still enjoy it and have a hard time bringing myself to get worked up over many of the issues. Bungie doesn’t get a pass, they should just do better. Easy for me to say though, and I like a lot of their changes. I still have yet to complete the raid, but did attempt it a few times with a group of friends and had a lot of fun with it. I still hope to get the gang back together and finally knock it out. Oh hey, did I mention Destiny 2 actually launched with a proper story this time? It’s pretty neat that it makes some sense this time around without the game having to be adjusted to put pieces into a logical order. Destiny 2 is going to be an ongoing saga of changes as the community becomes more and more vocal about it’s content. I’m sure hoping that it will re-appear on my list next year and I can say that they got past this rocky launch phase. 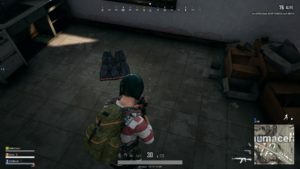 PlayerUnknown’s Battlegrounds has become the game that every other game is now racing to mimic and cram in their game. The battle royale-style game type isn’t original, but PUBG simplified the formula that, finally, appealed to me . 100 players jump from a plane onto an island, find weapons, and try to be the last one alive, while a big painful circle forces them to get closer and closer to each other. Where games like this have fallen apart for me in the past was generally the crafting aspects. PUBG simplifies this. If you’re lucky enough, you may have a gun seconds after you land on the ground. No punching trees to make a spear or bow and arrow. Any number of guns, and the action kicks off. Or, you can choose to try and find a more isolated area and begin the process of slowly collecting and upgrading your gear over time, preparing for the middle to late round gun fights. This is where the game can be rough. Spending 20 minutes picking things up only to open a door and suddenly get shot and game over. Back to the lobby. Start again. It can be frustrating, but I can’t say it ever really bothered me all that much. Most of the time I knew I screwed up. I should have checked a corner. I shouldn’t have just run out in the open. The recent addition of the death cam has really helped me personally in figuring out what I’m doing wrong, and trying to adjust in the future. 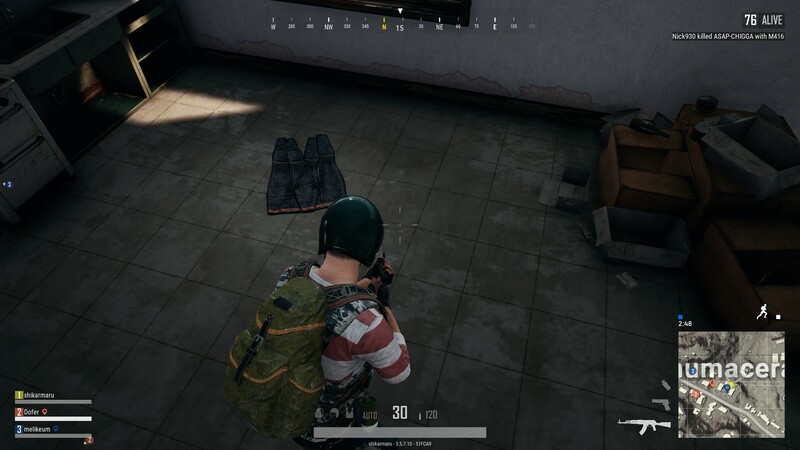 Since it spent most of the year as an early access game means PUBG had, and still has, a fair amount of jankiness to it. Moments of buildings disappearing. Vehicles taking funny bounces into oblivion. Open doors being closed, closed doors actually being open. Despite all this I generally had a great time with PUBG. I don’t play a lot of games solo, but love jumping into a duo or squad game when friends are around. No game has ever come close to the feeling of being one of the last few people alive in a match. Laying on the ground looking for movement. Watching the circle to make sure it doesn’t close in too far. No game has ever forced me to stop and remind myself, “It’s a game, breathe. Settle down.” I got adrenaline shakes afterward and I would just have to walk away and calm back down. I’ve felt tense in video games, but nothing like this. It’s the culmination of an entire game of preparation and a bit of luck. PUBG feels like it’s going to be my go-to multiplayer game for awhile. At least until something comes along to dethrone it. It’s going to happen, but we’ll likely have to suffer through a lot of bad clones and rushed implementations first. Earlier I said Cuphead was “one of” the most complete packages this year. Well, Super Mario Odyssey is THE complete package. I don’t think I’ve played a 3d Mario game that has felt so polished. Every kingdom Mario travels to is thoughtful and well designed. If you see something and wonder if you can get to that spot, there’s a good chance you can platform your way there. Not only can you get there, but Nintendo already had the same thought and put a moon or some coins there. Every time I jumped somewhere I felt like I wasn’t supposed to be and got some coins, it felt like Nintendo saying, “Good job! 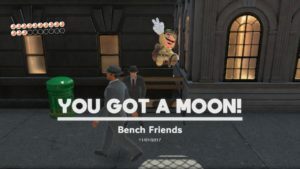 We figured some players would want to come here and we didn’t want to give them nothing, so here are some coins.” Instead of the normal star collection, this time around we’re collecting moons. With over 800 Power Moons to collect, they are EVERYWHERE. If you think there’s a moon somewhere, there’s a good chance you’re right. It makes an initial pass through Super Mario Odyssey a joy end to end. I spent more time than I needed to in each kingdom collecting moons before decided to see AN ending. Post game provides plenty more to do. Each kingdom unlocks more moons, and I gladly went back for a second pass through each kingdom. As of this writing I haven’t finish collecting everything, and I’m thrilled there’s more for me to do. It’s a perfect game to pick up for a couple minutes, collect a few missing moons, then set it back down. I went into Odyssey concerned that Cappy would create a gimmicky Mario game. The ability to transform into Mario into different enemies was a fun addition, but it certainly didn’t overshadow the normal Mario platforming. I have yet to mention New Donk City. There is a kingdom that is a city, named New Donk City. Pauline is the mayor and sings a pretty awesome song. If you haven’t heard ‘Jump Up, Super Star!’ do yourself a favor and go give it a listen. Then if you want the Nintendo section of E3 2017 experience, listen to it for about 3 more hours on repeat. It’s still a really good song. I’m sure there’s a ton I’m forgetting to gush over. The best praise I can give to Super Mario Odyssey is that it made me happy. Even now, it puts a smile on my face when I play it. I’ll feel pretty bummed when I finish collecting everything, but hey, I guess Nintendo is adding some DLC. Don’t ruin this good pure thing Nintendo. You did good in 2018. For the first hour or two of Nier: Automata, I hated the game. 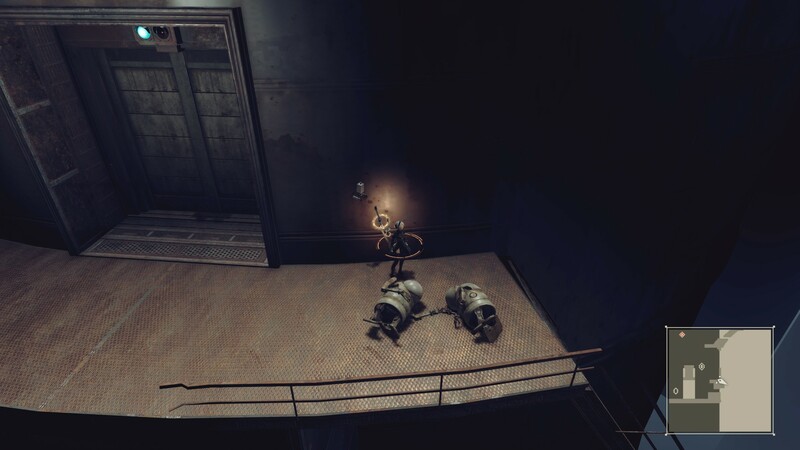 I had the worst time fighting the two saw arms of the boss in the opening section. I died a countless number of times. It was likely my own fault for not understanding the dodge system could be abused more than I realized. My issues with the gameplay don’t end there. The combat was neat, but not anything very special. It’s a bit repetitive once you figure out a system that works and the aspect of hacking is introduced. For some reason, I was irritated by the sand sliding in the desert area of the map. I felt like the characters slipped into a “sliding down the sand dune” animation far too easily and kind of wish it just wasn’t there. At this point, it’s not a huge secret that there are several endings to NieR: Automata. While, it does add to the game, and I realize it is a lot to ask of players to get to “credits” twice before the game advances forward. I’m sure I had a some more issues with the game, but that’s the most I can think of at this point in time. It’s a lot easier to nit-pick the minor flaws than talk about what NieR: Automata is, a really mind blowing video game. It’s a 2d/3d shoot-em’-up scroller sometimes, but mostly an action role-playing game were you play as androids fighting for the humans against the machines who are fighting for the aliens that sent them to Earth. The gameplay often messes with the player, triggering “glitches” making it hard to know if your game is messing up, especially if you have the PC version. The transitions between the gameplay styles and different scenes is masterfully done. The music and sound are just top notch. Each song seamlessly transitions between levels, with and without vocals, and even 8-bit versions. It all sets the mood perfectly. NieR: Automata is ultimately a game that makes you question humanity, yourself, and the game you’re playing. I don’t want to dive very deep into it, so please just play it so we can talk about it. It’s a game that I finished in the fall and still think about a lot. I thought about it so much to the point where it jump from #4 to #3 on my list just prior to recording our Game of the Year audio. I realized I was very excited to talk about it and it had been months since I last touched it. I urge you to try and get through it. If you’re feeling skeptical try to power through. I promise it’s worth it. The Zelda franchise is one of my favorites. A Link to the Past is my favorite game of all time. 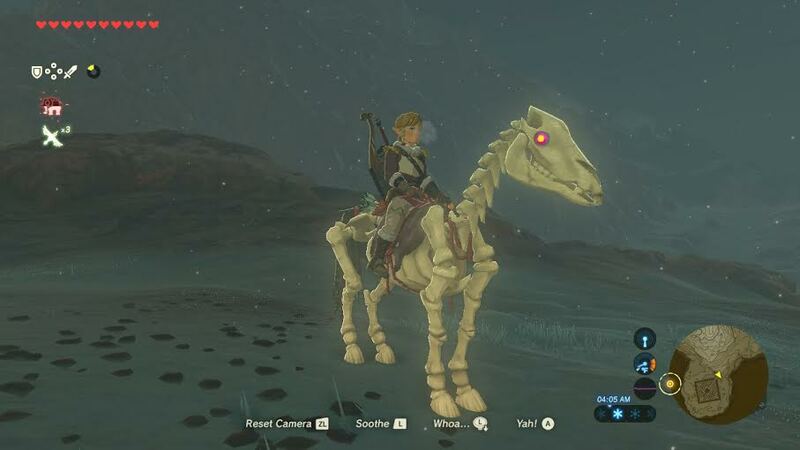 I don’t think I’ve felt a sense of wonder in a Zelda game since that time, and Breath of the Wild finally replicated it. It’s so different from what I expected. I had no idea that if the usual aspects of a Zelda game were stripped away and broken down to the core I would still enjoy it so much. Breath of the Wild basically gives you one task, “Destroy Ganon”. After said task is assigned, the path you take is up to you. There is plenty of world to explore and when they said “see that mountain, you can go there.” they mean it…unless it’s raining then it’s just a pain to get there…but you totally can! The traditional temple being broken into lots of mini trials was a good way to make a huge world feel full. Generally, if there’s something within your sight line that is worth checking out. Would I have preferred some traditional dungeons? Absolutely. I felt the divine beast “dungeons” were a little lacking and hope they have a least a few traditional style dungeons in the next game. I’m generally not a big fan of the survival game genre, so the weapons breaking, food cooking, and adjusting outfits based on conditions aspects sounded like a pain. However, while I was playing I can’t say it bothered me a great deal. The weapon and shield cycling was the most annoying but eventually you have such a plethora of them it becomes a minor inconvenience. This was the perfect game to release with the Switch and showed off exactly what the console can be. I very easily put over 80 hours into Breath of the Wild by picking up the Switch, finding and complete a few trials, then picking back up later and repeating the process. The quests weren’t always the most rewarding. In fact, some of them were honestly just bad, but it never really bothered me because I loved just running around Hyrule. Much like Super Mario Odyssey, I generally had a smile on my face while playing this game. The original Legend of Zelda is the only comparable in the franchise I can think of that truly lets the player explore. You can find areas you probably shouldn’t be in, but just maybe there actually is a reason to be there. I can’t tell you the number of times I would bang my head off something in Breath of the Wild just to get somewhere, only to realize there was a much easier way. I think that makes it great. I had my own adventure. I wasn’t lead from A to B to C. I could have rush right off to fight Ganon, but I wanted to be ready. I would only be ready after exploring as much of Hyrule as I could. Finally, I made the decision that I needed to be done, and that was that. I had a lot of fun with The Legend of Zelda: Breath of the Wild and some of that fun I made myself and I love that I was able to do that. I’m usually good for about one long JRPG per year, and in 2017 we finally got Persona 5. If you know me, you probably could have guessed this was going to come in at #1. I loved ever aspect of Persona 5. From the first trailer, it oozed with style; the art, the music, the menu screens. Do me a favor and Google “persona 5 menu cosplay”. Right?! The art is so good that people are cosplaying as the battle menu. Persona 5 hits the ground running by putting the protagonist in the middle of a heist that seems to be going all kinds of wrong. In the end it does go wrong, and you get caught. Through dialogue with a public prosecutor, you retell your story. If you’ve played a Persona game before, you know this entails living a totally normal Japanese student life, hanging out with friends and townsfolk to build social links, aaaand also jumping to an alternate reality where you need to correct the wrongs of the world by summoning personas to help you battle the baddy personas. The bad persona can also be convinced to join you through a series of questions. I like to explain it as Pokemon for adults. Many of the core concepts are the same, but with some far heavier themes and more teen angst. 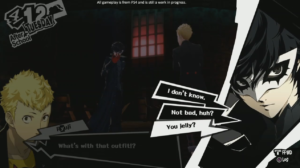 The subtitle to Persona 5 may as well have been, “All The Adults Are Assholes” because from the beginning of the story onward, boy, are adults assholes. Your character was sent to this town because he was charged with assault for stopping a politician from sexually assaulting a woman. You’re on probation and everything assumes you’re a big ol’ delinquent. To prove them all wrong, you make friends and promptly form a team of Phantom Thieves. Your goal is to steal the hearts of the terrible adults and try to make the world better. The story is pretty bonkers and I honestly don’t think this cast of characters is the best in the Persona series, but they’re still lovable by the end. I admit to using a guide so that I would be able to max out all my personal stats and view all the social link stories. Those are some of my favorite parts of the game and I didn’t want to have to re-invest another 100+ hours because I missed a few. That being said, I’m ready to go back and finish off some of the missing trophies which require a second play through. Oh, yeah. There is also an actual cat thief who can turn into a van because humans often perceive cats as having the ability to turn into transportation. It’s a very heavy time investment, but certainly worth a look. Even if you’re not a fan of JRPGs, give this one a shot. Or don’t. I’ll still love it. That’s the list. Overall, not a great year for me, but at least there were some excellent video games to get me through it. You’ve got a tough job, 2018. Be better. Hug a loved one! Thanks for reading.